Rangers star Andy Halliday is excited by the club having signed Steven Davis as he feels the midfielder was a top player during his first spell at Ibrox. Gers boss Steven Gerrard recently swooped to snap up Davis from Premier League side Southampton on loan until the end of the campaign. The Northern Ireland international turned out for Rangers until 2012, making 200 appearances in a light blue shirt, and has now landed back at Ibrox, alongside another loan arrival, Jermain Defoe. Halliday admits he used to watch Davis playing for Rangers as a fan and is excited by the addition of the midfielder. He told Rangers TV: "I have been very excited by the new boys coming in. 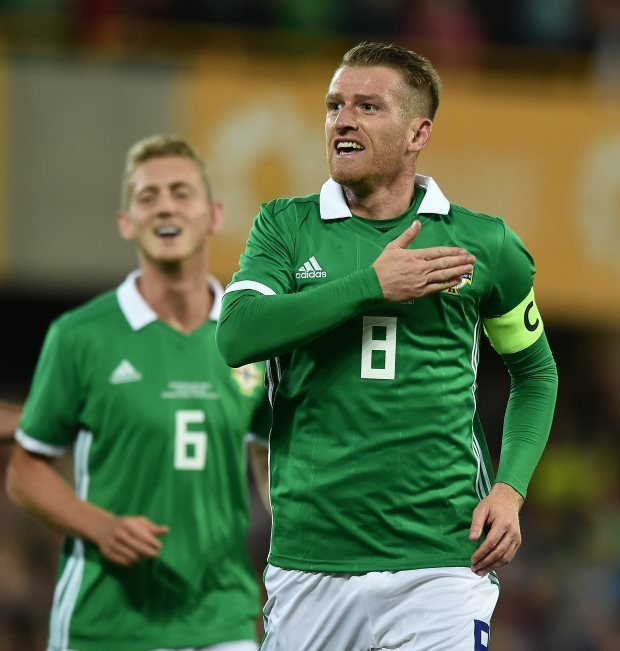 "I used to watch Steven Davis on the terraces and he is probably one of the best players I have seen play for Rangers in terms of his technical ability and his all round game. "You can see that when you reflect on his international career and the amount of appearances he has made. "You can see over the first couple of days the quality he is going to bring to the squad." Rangers have been spending time at a warm weather training camp in Tenerife as they prepare for the second half of the Scottish league campaign. And with Davis and Defoe through the door, Gerrard will hope his men can continue to push rivals Celtic all the way in the Scottish Premiership title race.